Discover a rustic world with families in mind; a place where children can be children and parents can relax! 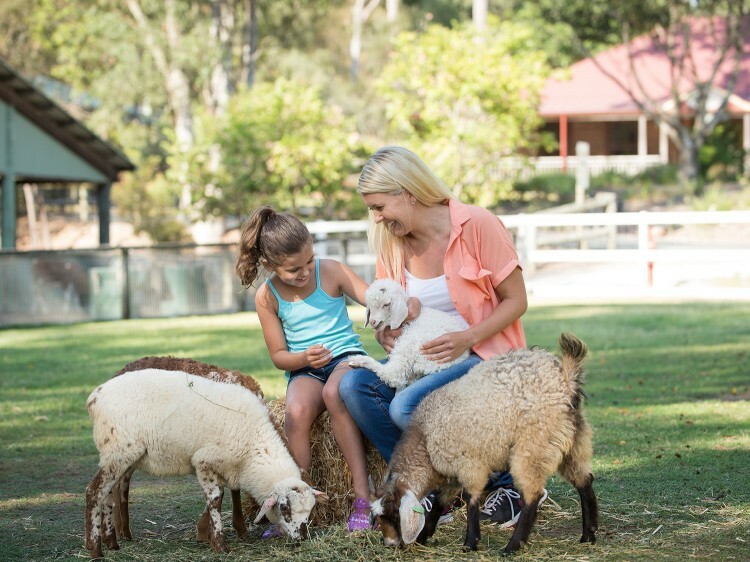 Home to unique Aussie wildlife and a cuddly collection of farmyard friends, where kids are free to explore and delight in all that Paradise Country Farm has to offer. Wake up to fresh country air, collect eggs from the chicken coop and help with the morning feed up. 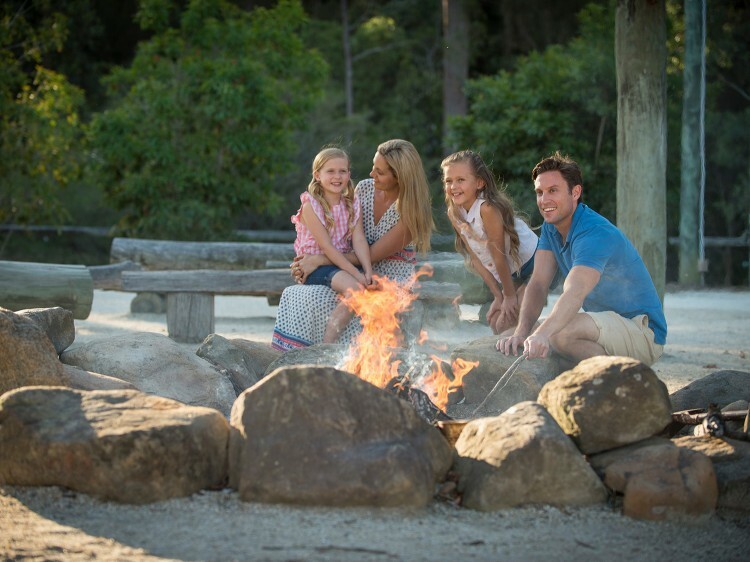 Just 20 mins from Surfers Paradise and 45 minutes from Brisbane, it’s the perfect getaway for families looking to get back to nature, take time out and create some lasting memories. During your stay you will enjoy full guest use of Paradise Country Farm & Wildlife Park along with access to the Paradise Country Farmhouse Restaurant for breakfast and lunch daily. The Farmhouse Restaurant is also open for dinner Thursday, Friday & Saturday nights*. 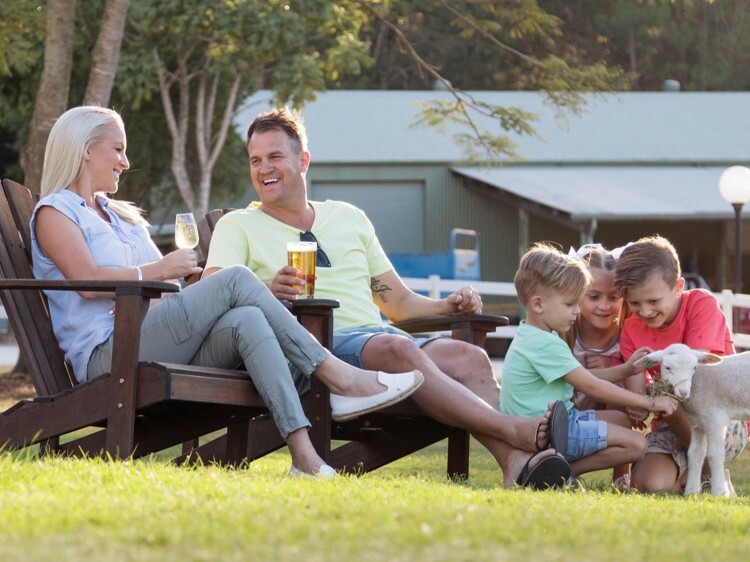 Plus, your stay includes exclusive Farmstay additions such as sunrise and sunset farm activities with farm animal feed up, nursery bottle feeding, egg collecting and cow milking, Farmstay happy hour from 5-6pm with animal meet and greet (Friday & Saturday only) and nightly campfire. Start the day with the Paradise Country Farmhand and learn what it takes to prepare the farm. Join the morning animal feed up, assist with bottle feeding in the nursery, experience egg collecting in the farmyard and even help with the morning cow milk. 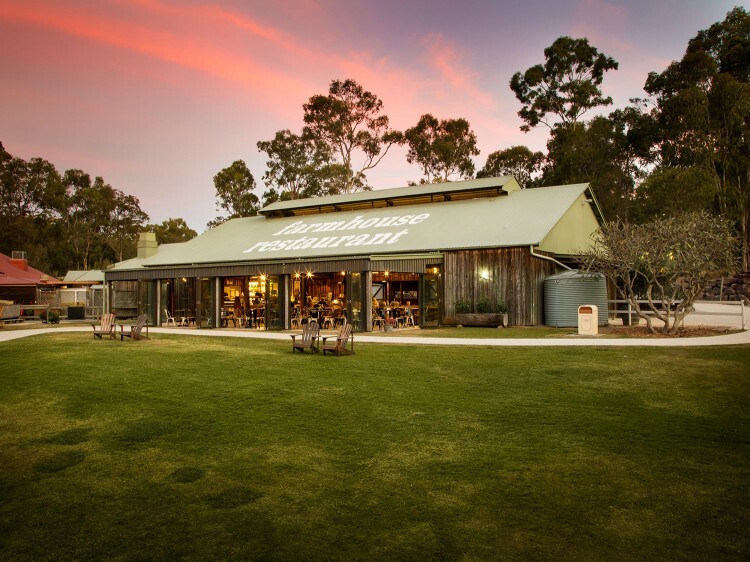 Relax the day away and watch the sun go down on the Farmhouse Restaurant lawn as you grab a beverage from the bar and unwind into your unique Farmstay surroundings. Then at night join in around the campfire for a truly authentic camping experience nightly from 6pm to 9:30pm at the Billy Tea area. Marshmallows and sticks are available for purchase from the Farmhouse Restaurant.